If you agree with the clear majority of respondents (nearly 85%) of a recent Boston Consulting Group and MIT Sloan Management Review survey, then you too believe that artificial intelligence can help push your business to gain or sustain a competitive advantage. Yet, at the same time, we hear cries from those in the AI industry who feel that the capabilities as they stand today -- and into the foreseeable future – are largely overblown. So that begs the question; who are we to trust? It certainly puts CIO’s and IT architects in a precarious situation on how to handle AI-focused projects. Do you believe those that insist advanced AI is going to revolutionize the business world? Or do you play it safe and simply dabble in the technology? While there's no correct answer that fits every situation, it's important to have the right mindset when going into any IT project that uses highly advanced and rapidly changing technologies. 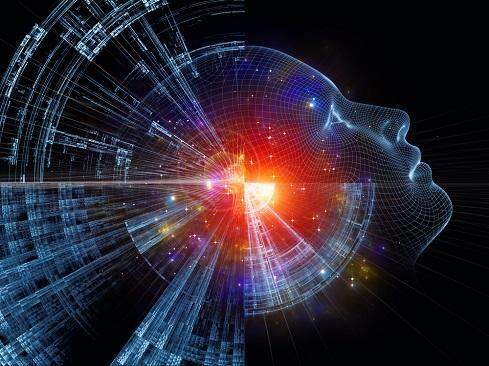 Unless you are a multibillion-dollar corporation that’s hyper-focused on the latest in technologies including artificial intelligence, the idea of gaining any significant competitive advantage through the use of AI is still a distant dream. The cost to build and tune your own all-encompassing AI supercomputer -- like IBM's Watson or Google AI -- makes it highly unlikely. It's not that the analytics tools aren't available, instead, data is the primary problem. If your organization has experience with previous big data projects, you're ahead of the game. Understanding how to properly store and curate data for analysis is at the heart of any successful AI project. Beyond data complexities, AI projects that operate in-house must lay out a well-defined roadmap with specific outcomes in mind. At least initially, you need to keep your goals in check. The idea should be to get some small, yet impactful wins under your belt as you learn how to best interact with data and the AI tools you choose to work with. A great example of this would be an AI chatbot assistant to be used for internal or customer-facing question/answer purposes. There are some very compelling platforms and use cases out there that show the potential of AI when put to use in specific settings. IT leaders should also be certain that the right IT talent is in place to handle the technical challenges of AI. This is yet another reason to limit the focus of your first AI project. Artificial intelligence can take many forms – and thus require many different skillsets to be successful. Artificial decision making based on data inputs, speech recognition, image recognition, machine-to-machine learning and robotics are just a few examples of where an AI project can take you. At its core, AI is like other big data projects. The difference is that the information gathered through intelligent analytics is then fed into an automation platform to execute an actionable event. Therefore, skills in data collection, storage, manipulation and analysis are going to be an absolute must. Then, based on the automated outcome you desire, you’re going to need software development skills in niche areas such as speech recognition, image processing and robotics, among others. Lastly, it’s important to not oversell the value of an AI project to the rest of the organization. When left unchecked, artificial intelligence has a way of spitting out unpredictable answers from time to time. The initial learning stages are crucial and require a great deal of fine tuning from a number of IT professionals. This is the part of the project that is the most confusing to non-technical business leaders. They’ll often look at the project and see the high number of human resource hours applied, and then question the validity of AI. When, in reality, AI is like a train leaving the station. It’s slow to start, but once it gets going, it requires far less effort to maintain momentum.